The Popsicle Parade - Part 3! | Dinosaur Dracula! It’s been a while since the last edition of The Popsicle Parade, and summer isn’t getting any younger. 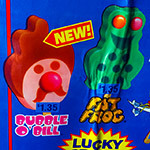 Here are five more treats from yesteryear’s ice cream trucks, represented by big yellow stickers that photograph horribly! If you think this one’s boring, it’s only because you haven’t looked closely. First, let me point out the uncommon upgrade to “SUPERCICLE” in the upper-left corner. That means the Firecracker was large enough to give us those faint but heinous sores on the corners of our lips. The bright side is that a big cold popsicle would’ve immediately soothed them. I’m also fascinated by the trio of flavors. Sour green apple is normal enough, but mixing that with cotton candy and red hot cinnamon made the Firecracker as unique as it was enormous. 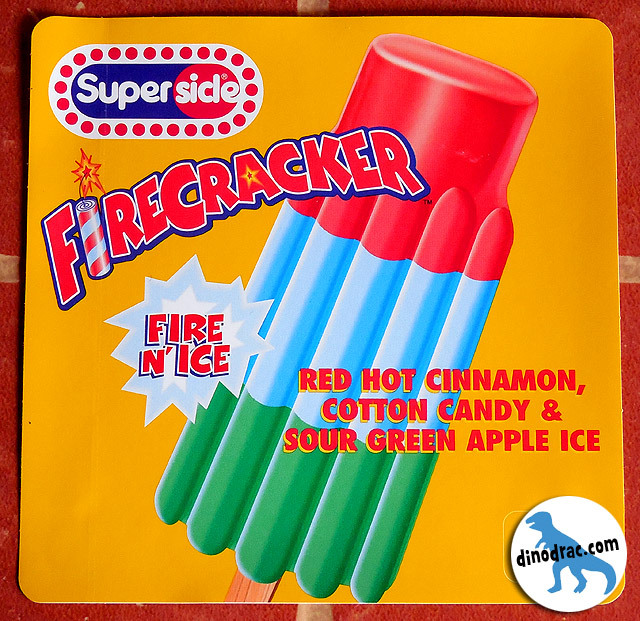 I believe these arrived long after ice cream trucks became a thing of my past, but had Firecrackers existed when I was hailing them down, there’s no way I would’ve passed on mega rare RED HOT CINNAMON. In the world of popsicles, finding that flavor was like spotting Ho-Oh. 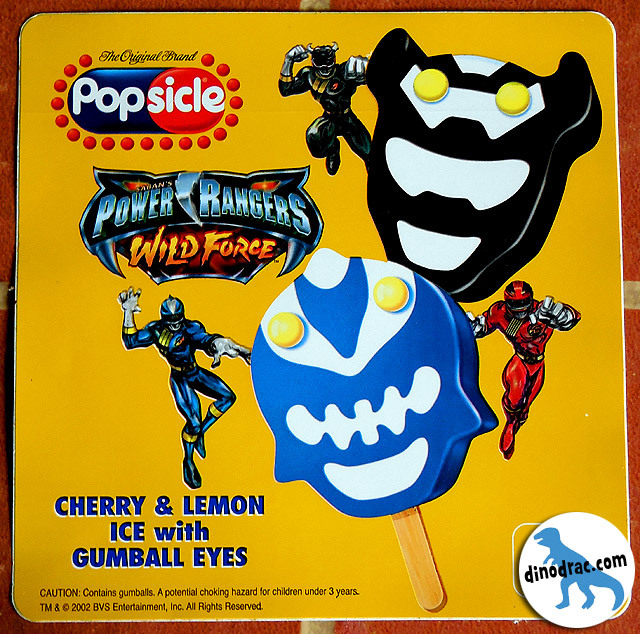 #17: Power Rangers Wild Force Popsicle! Power Ranger popsicles always crack me up. They’d be recognized for what they are by those familiar with the franchise, but if you know nothing about Power Rangers, what the hell are you looking at? Viruses from Dr. Mario? The gumball eyes are a normally welcome addition, but here, they only make matters more confusing. 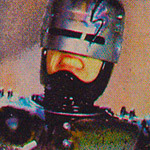 With those gumballs in play, the Blue Ranger looks like the front-view of a Molly-dropping trout. This was an obvious attempt to steal some glow from Dippin’ Dots, and I completely understand their ambition. When Dippin’ Dots were relatively new, they were unbelievably popular. 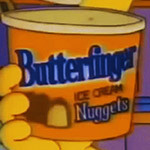 They seemed truly futuristic, and even after multiple experiences, eating them still felt like such an event. 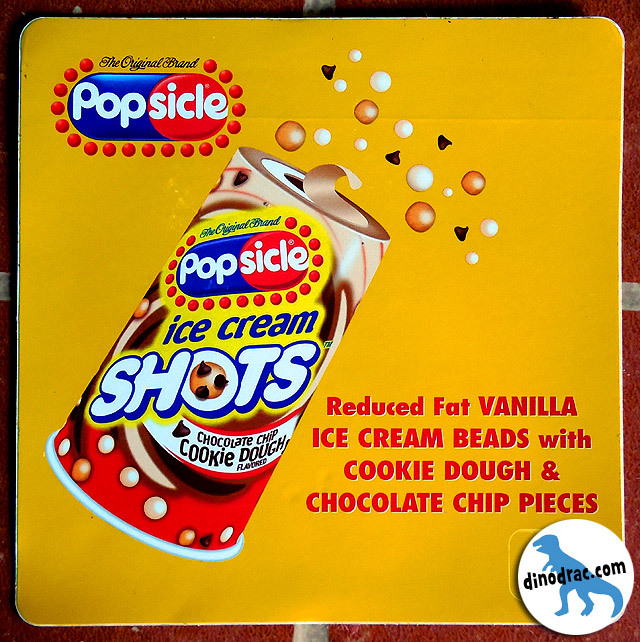 I’m not sure if Ice Cream Shots were as finessed as true Dippin’ Dots, but the general idea was the same. And they came in containers that could be drunk from like boxes of Nerds. Here, Jimmy’s trademark pompadour becomes his biggest mistake. 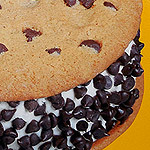 How were you supposed to eat this without chomping it off on the inaugural bite? 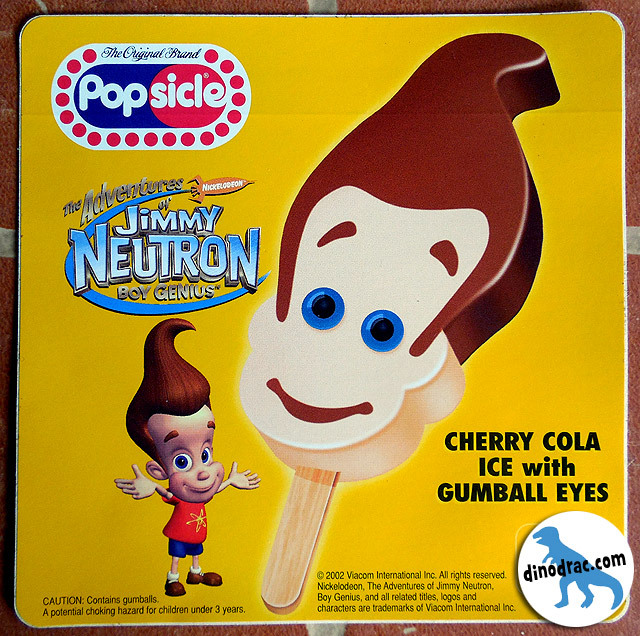 Since the hair was the only thing that firmly identified this as Jimmy Neutron, you were only one taste away from Generic Boy Popsicle, the laughingstock of frozen treats everywhere. On the plus side, you gotta admire the “cherry cola” ice flavor. Cherry cola is weirdly sensible for a popsicle made to look like human flesh. There’s no explaining it, but we can all agree that it is. 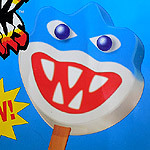 Also, his gumball eyes provide me with further inspiration to crossbreed olives with blueberries. Someday, somehow, I will be known as the guy who did that. I love everything about this. Starting with the basics, the ice was flavored like fruit punch. Fruit punch translates fantastically in popsicle form, to the point where I’ll never understand why it isn’t one of the “staple” flavors of grocery store brands. More importantly, they forewent the usual wooden stick for a paper-wrapped rod of bubble gum! 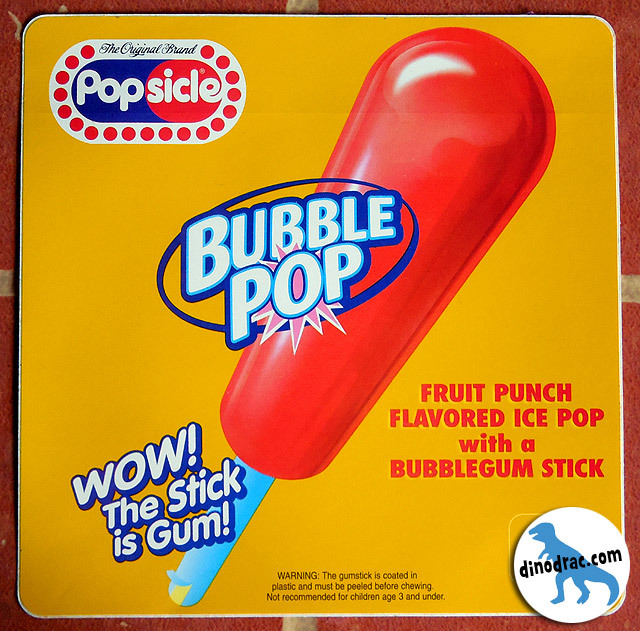 This made Bubble Pops impossible to resist. 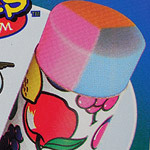 Remember, we embraced gum a lot differently when it came from an ice cream truck. It just seemed so much more special.